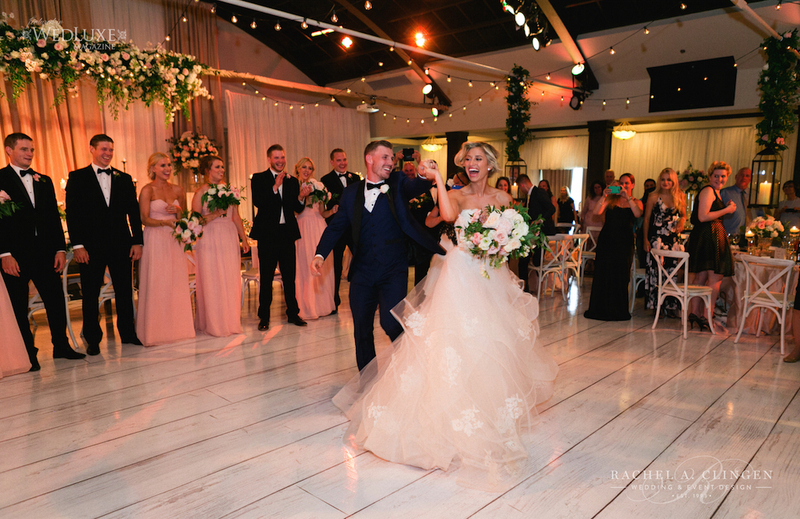 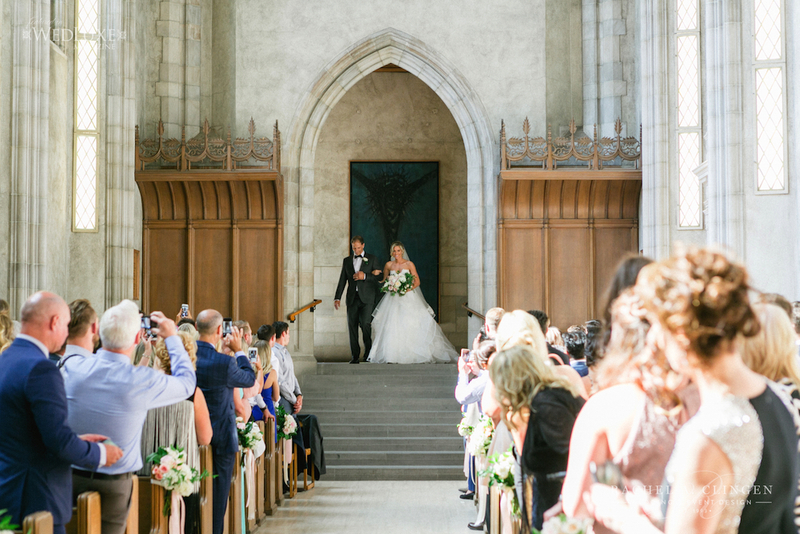 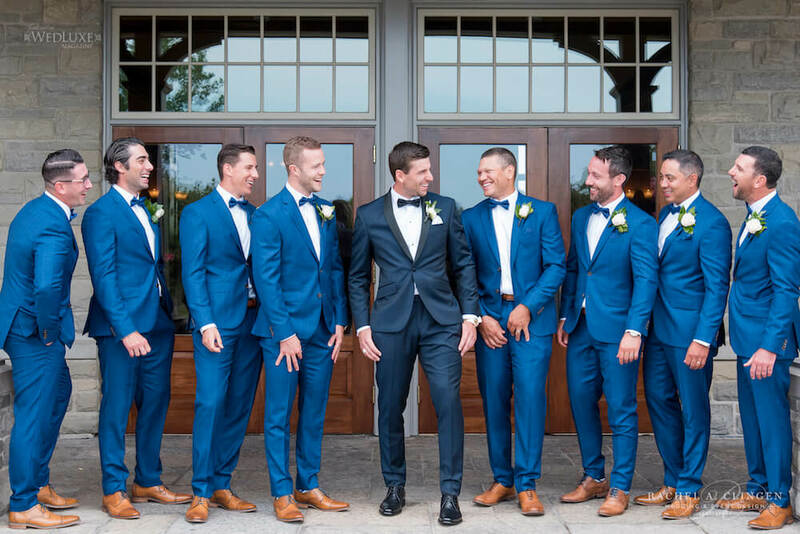 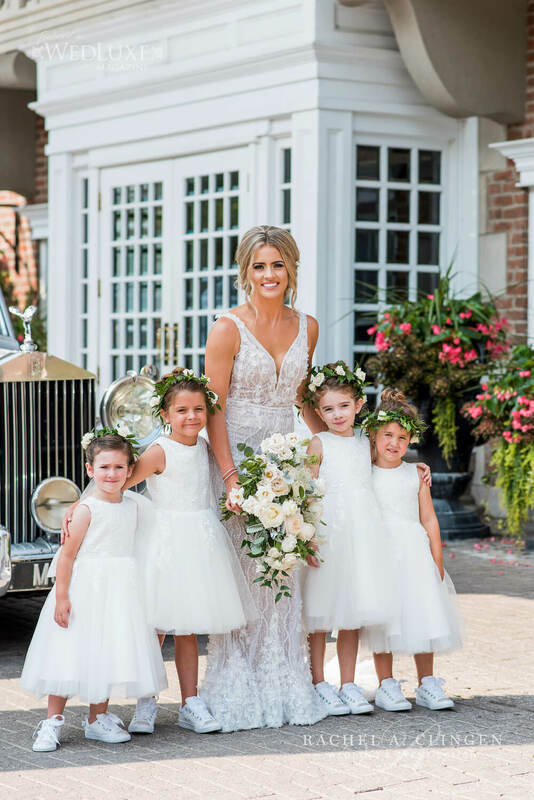 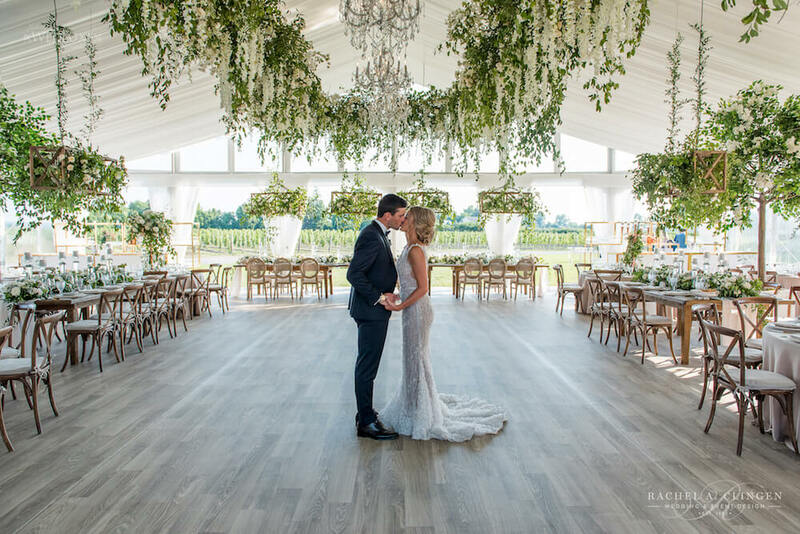 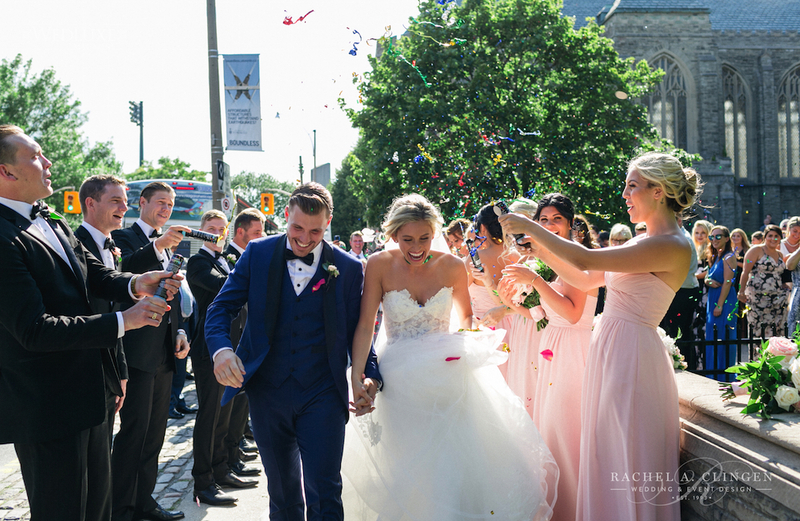 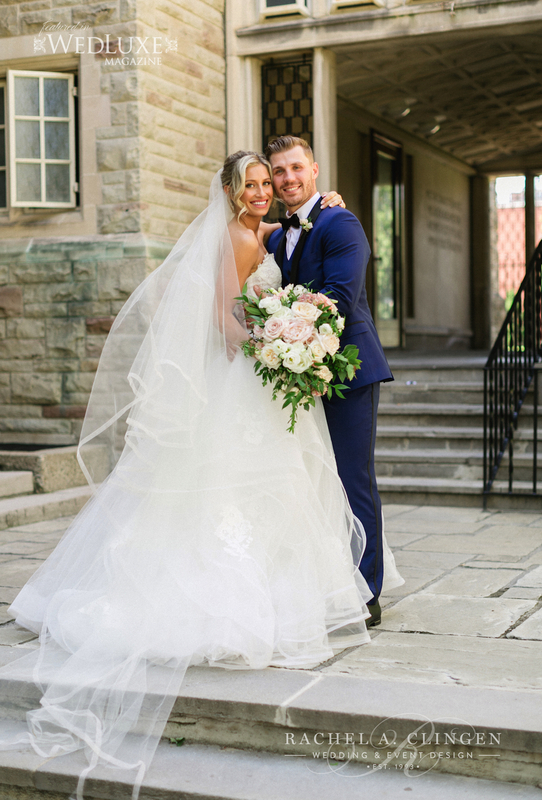 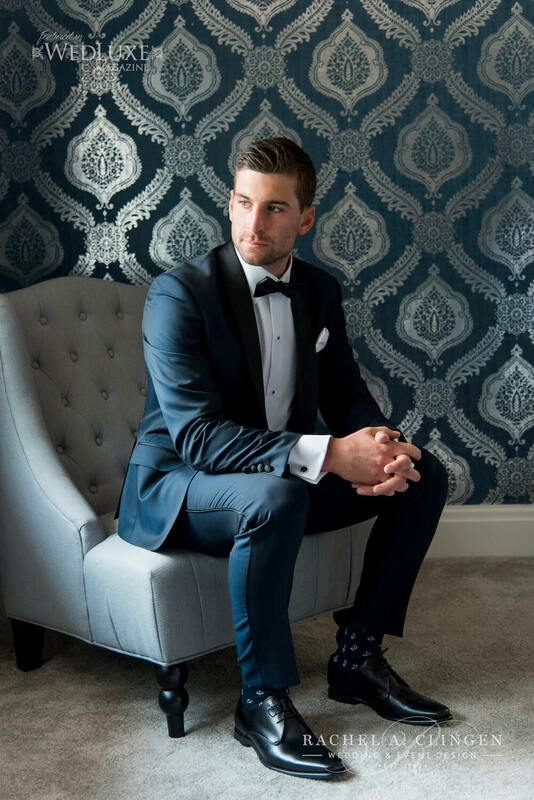 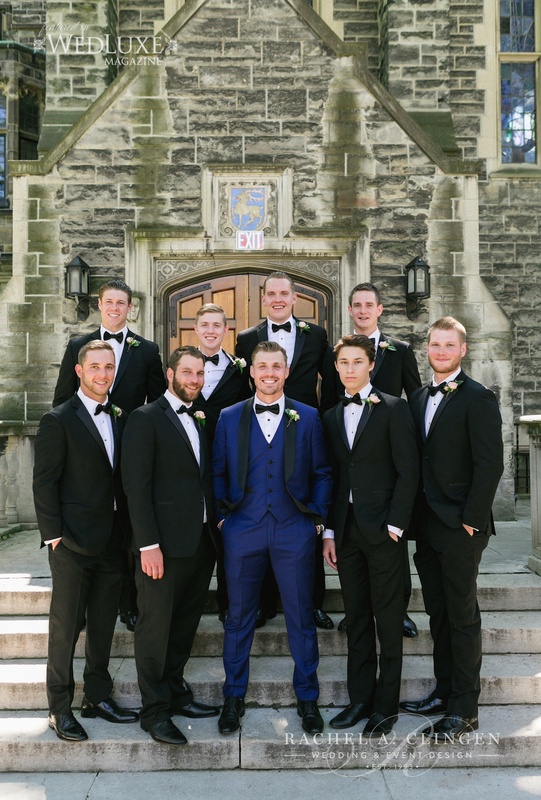 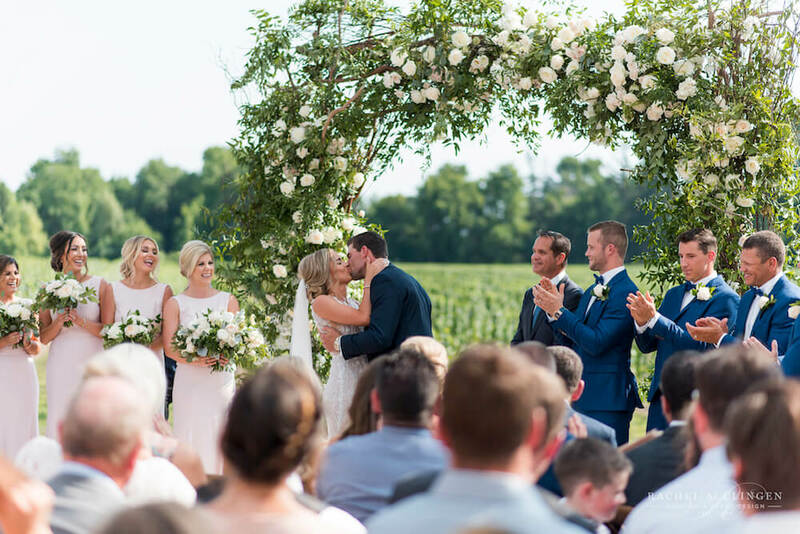 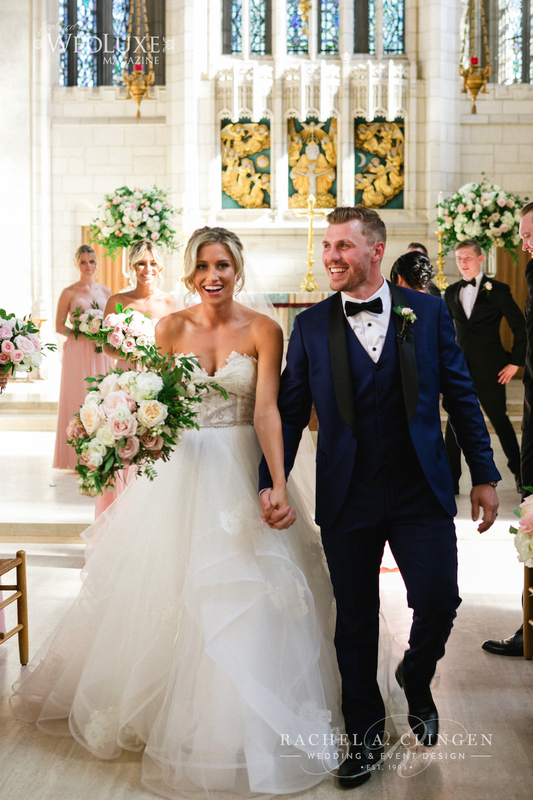 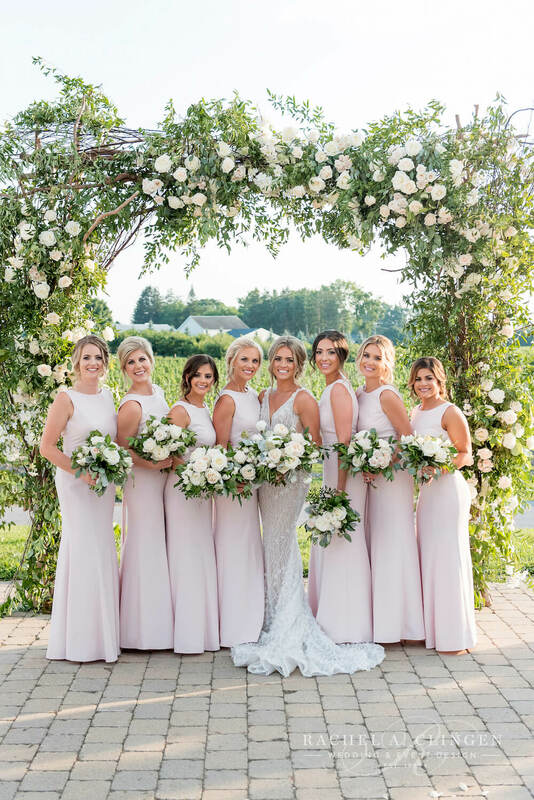 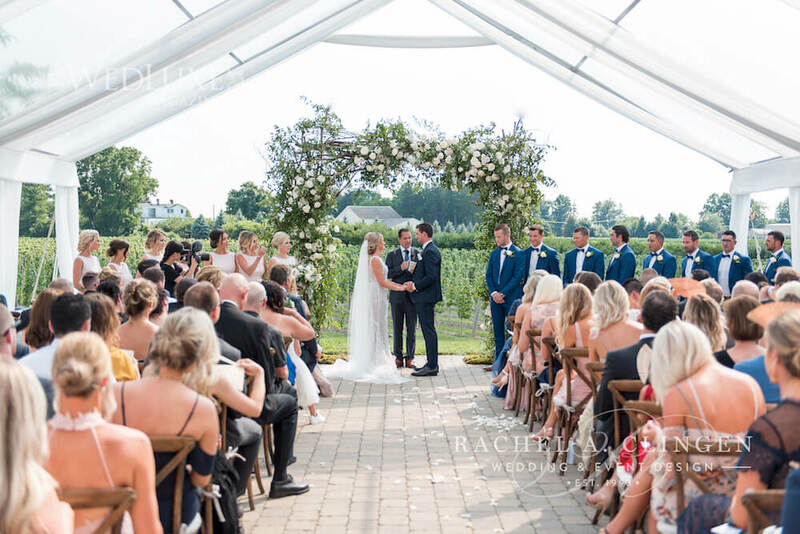 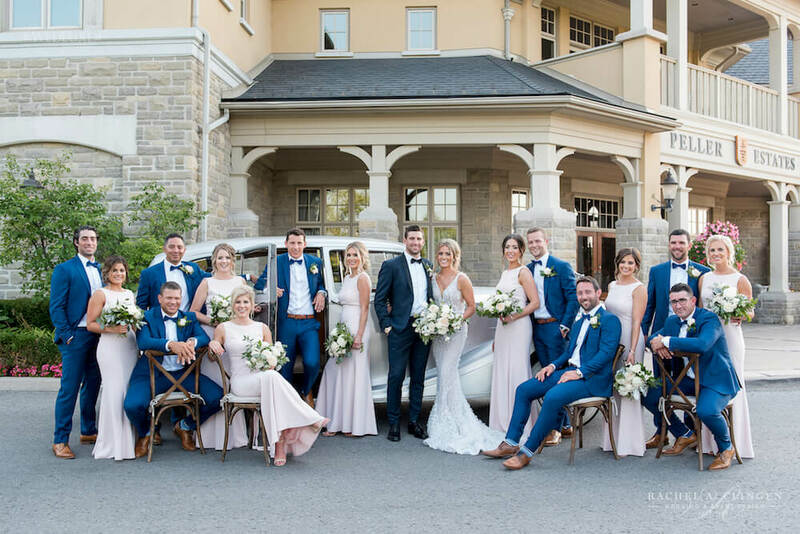 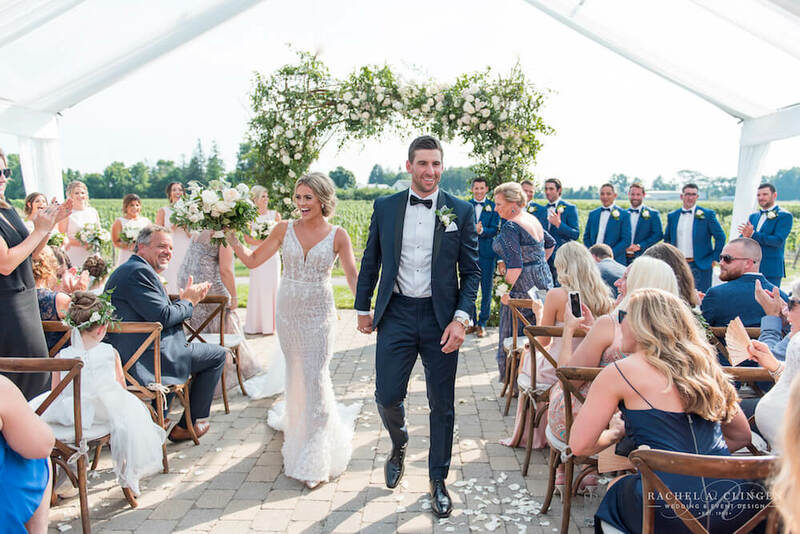 New York Islander, Nhl hockey player Casey Cizikas and his absolutely gorgeous bride Kristy tied the knot at Knox Chapel, followed by a beautiful reception at Palais Royale. 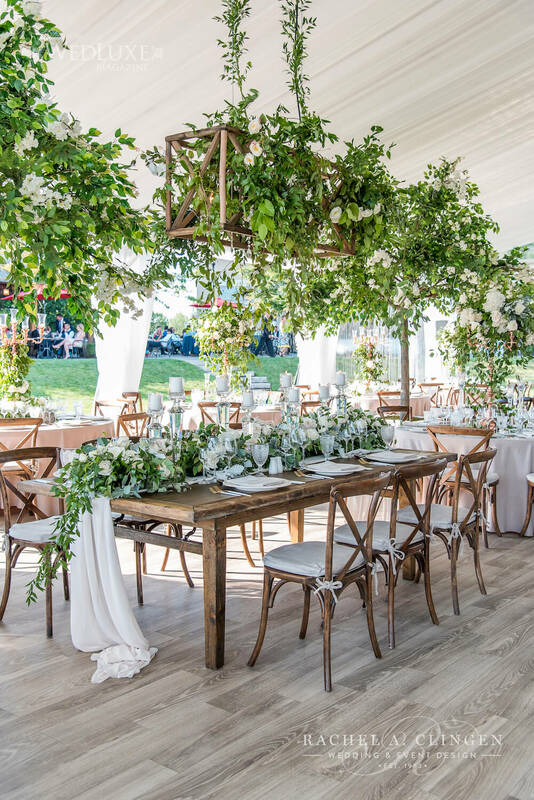 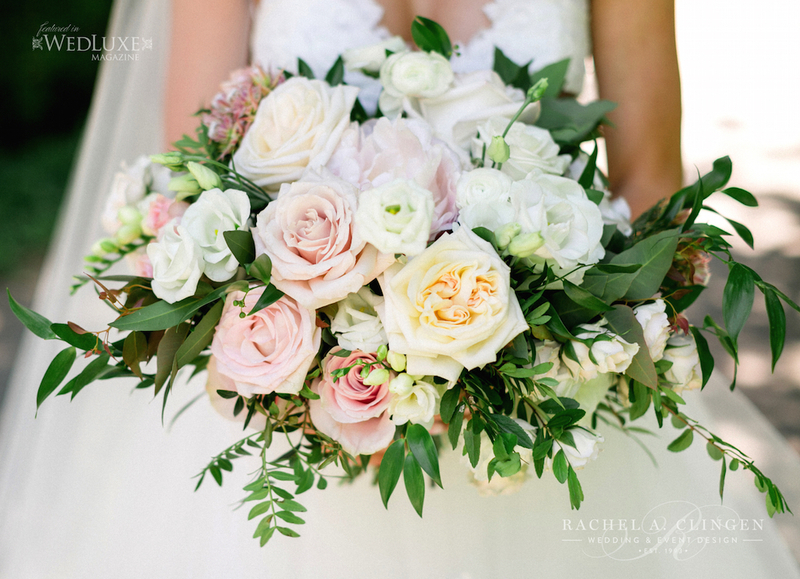 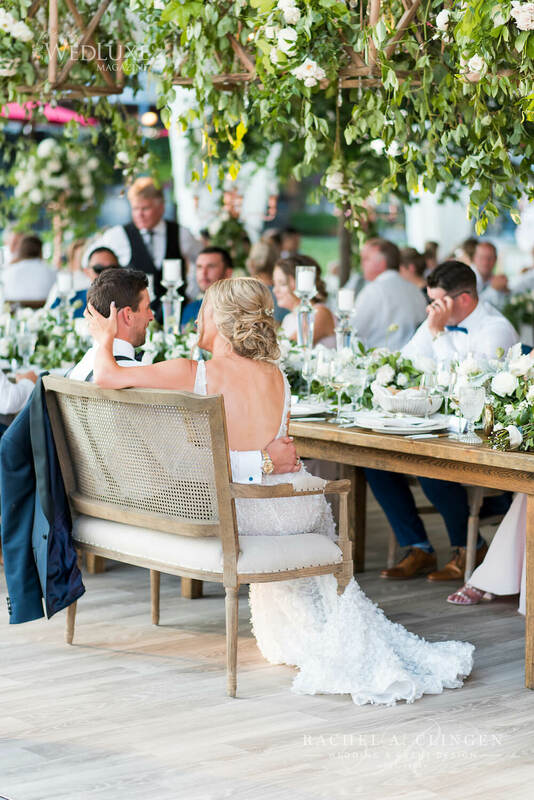 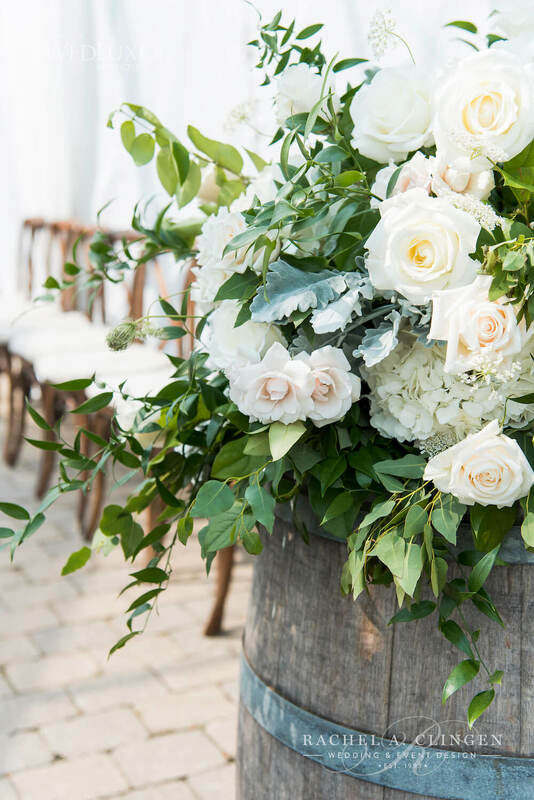 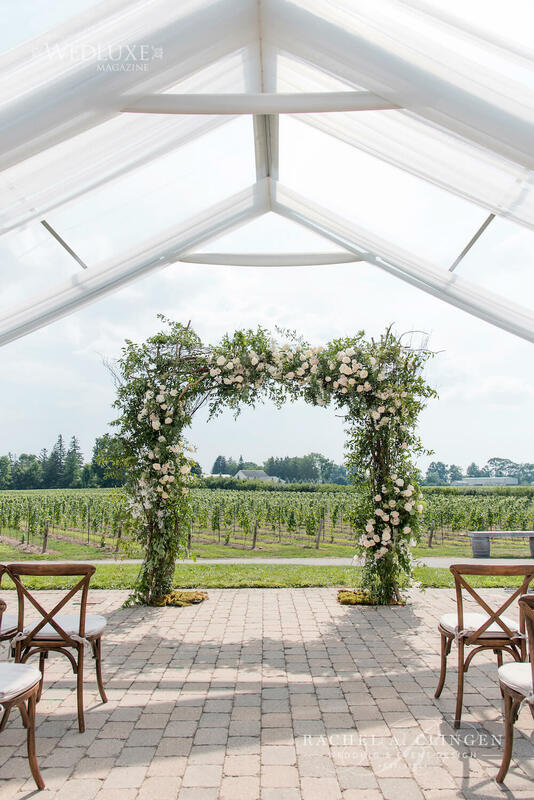 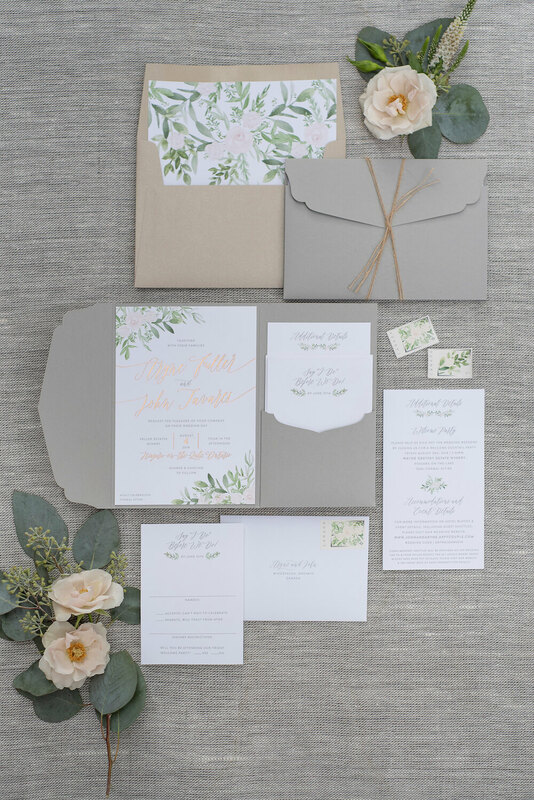 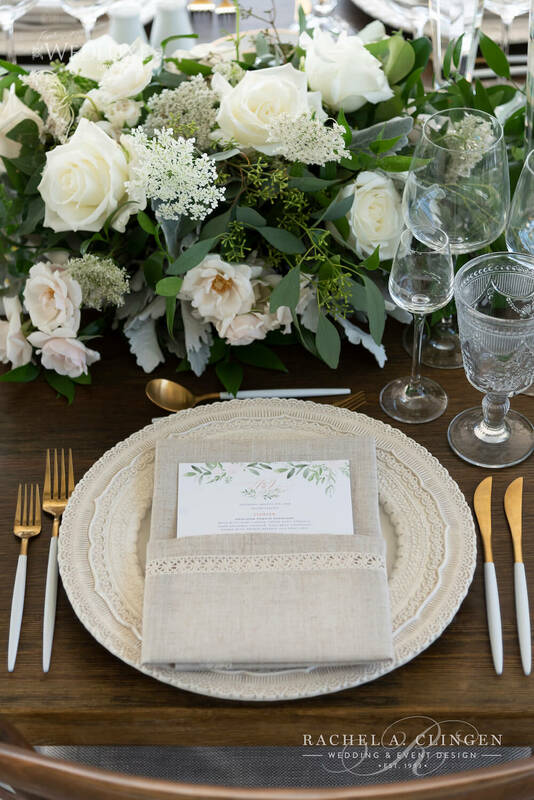 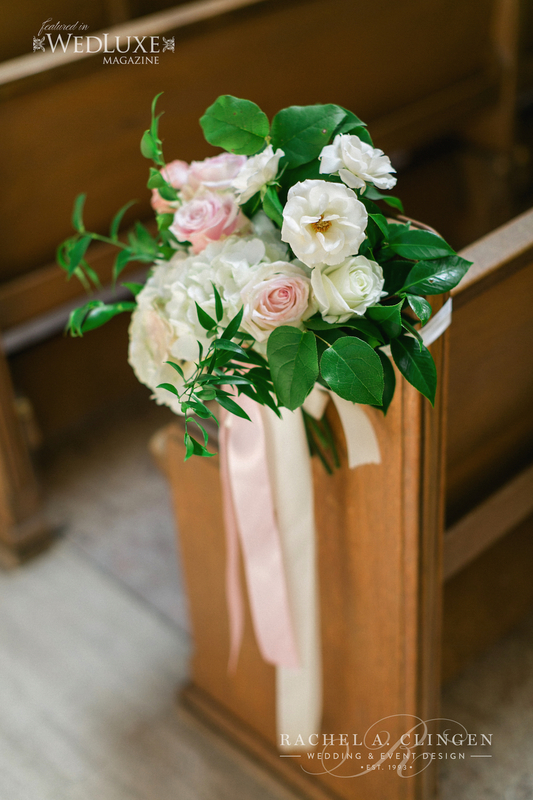 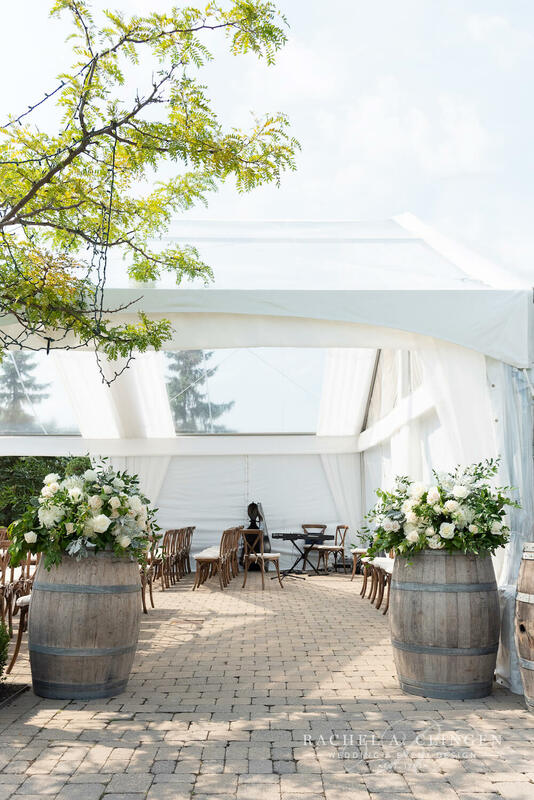 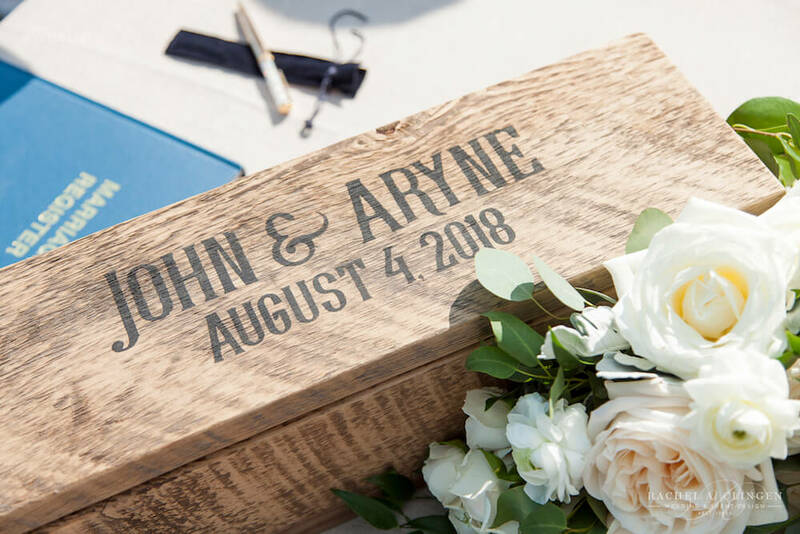 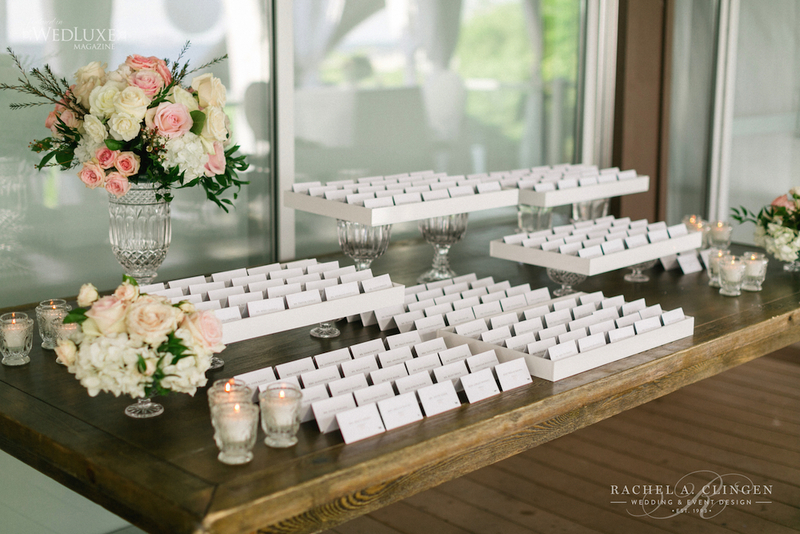 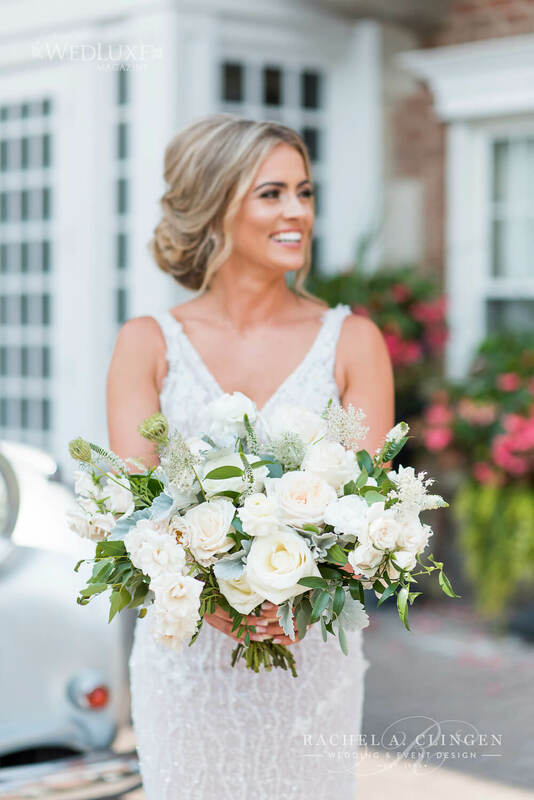 The rustic meets romance decor captured Kristy’s love for natural elements like white washed wood and gardens of flowers. 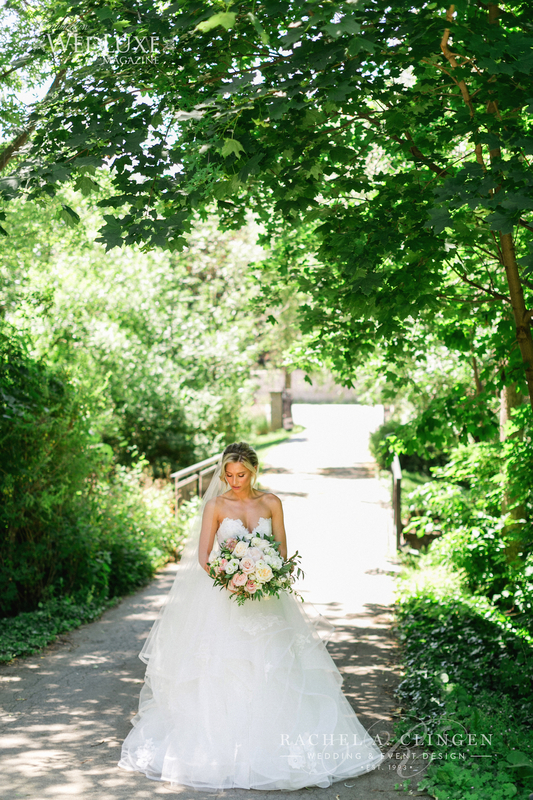 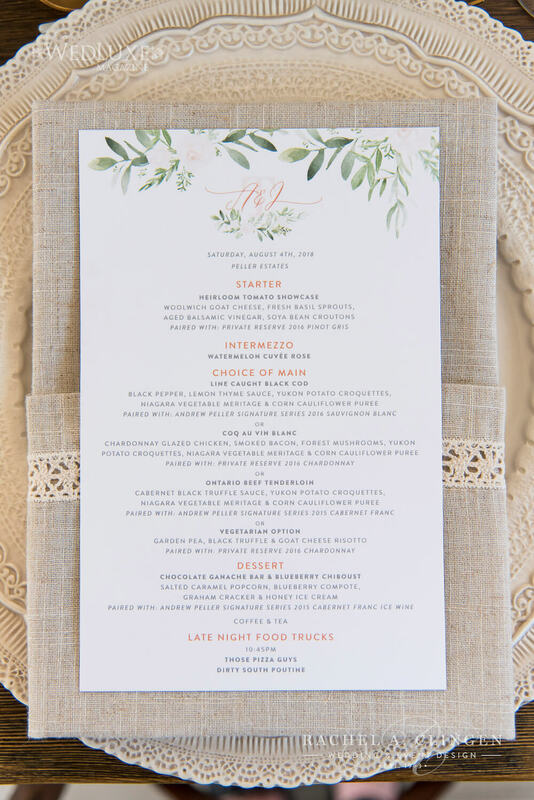 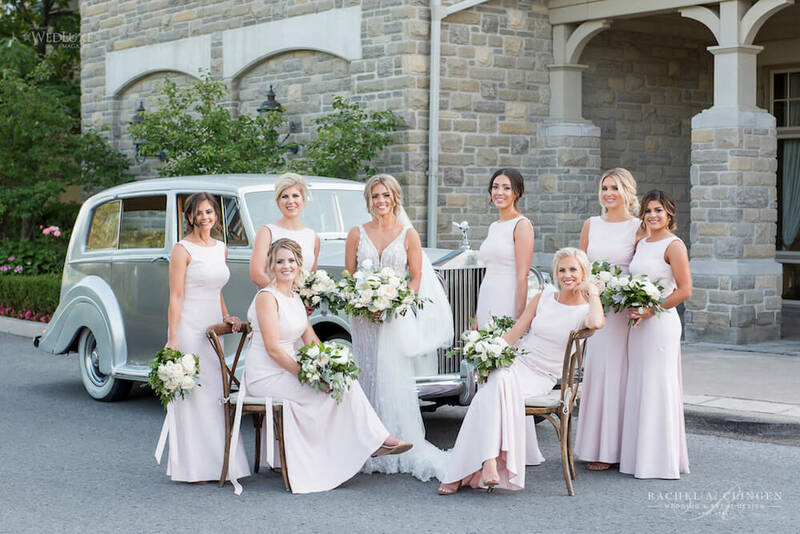 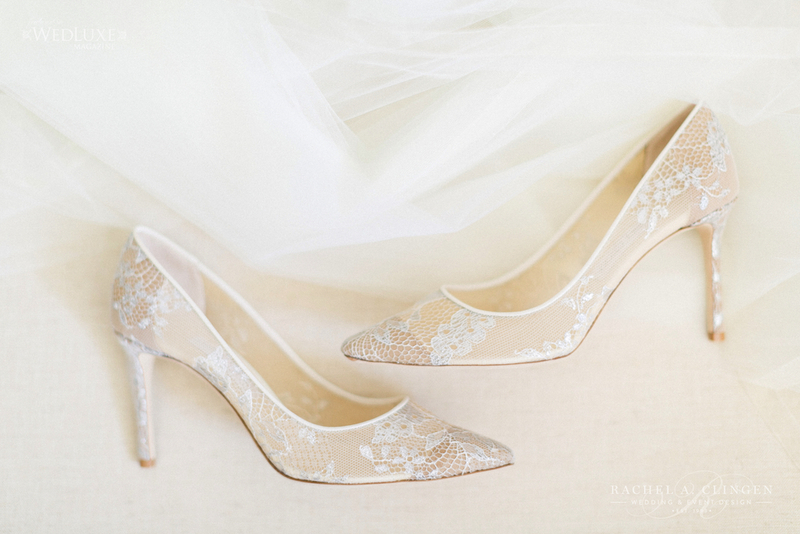 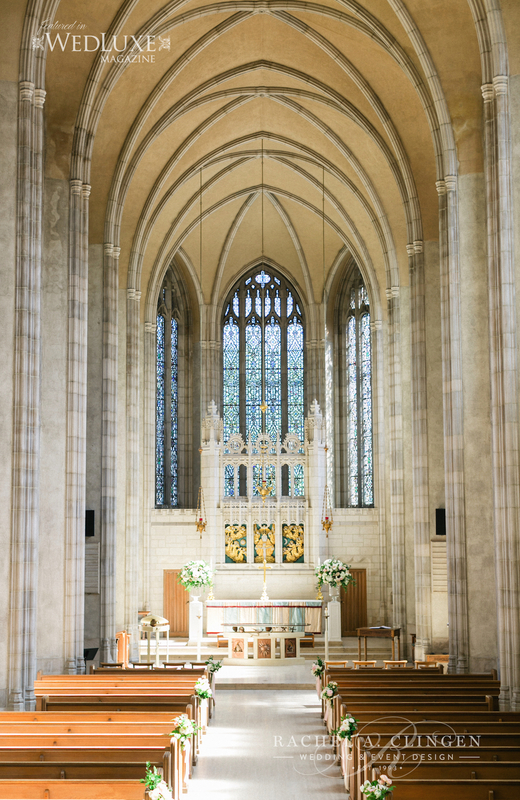 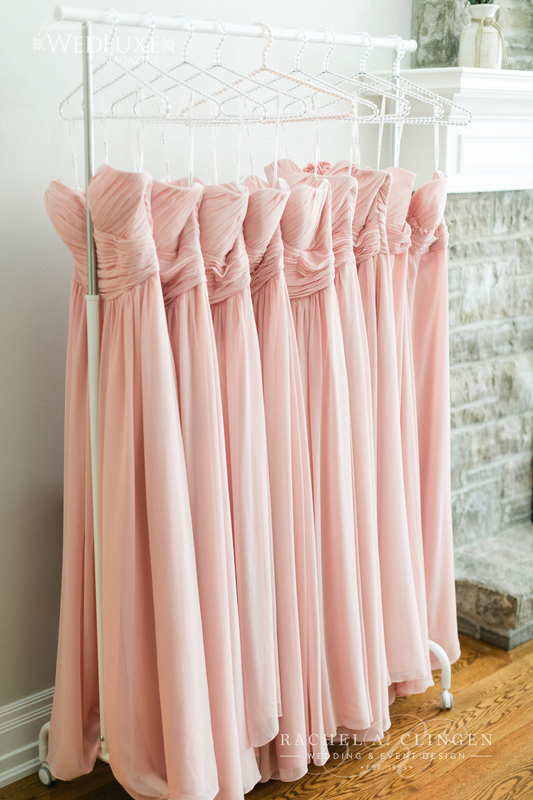 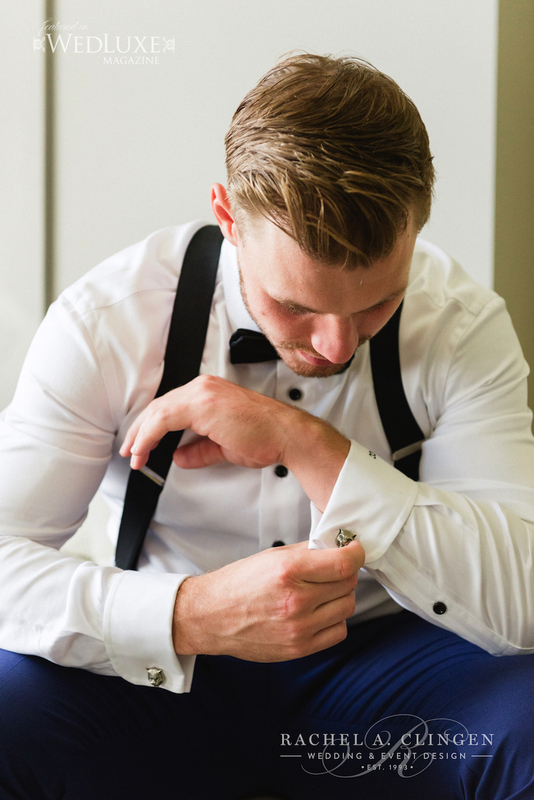 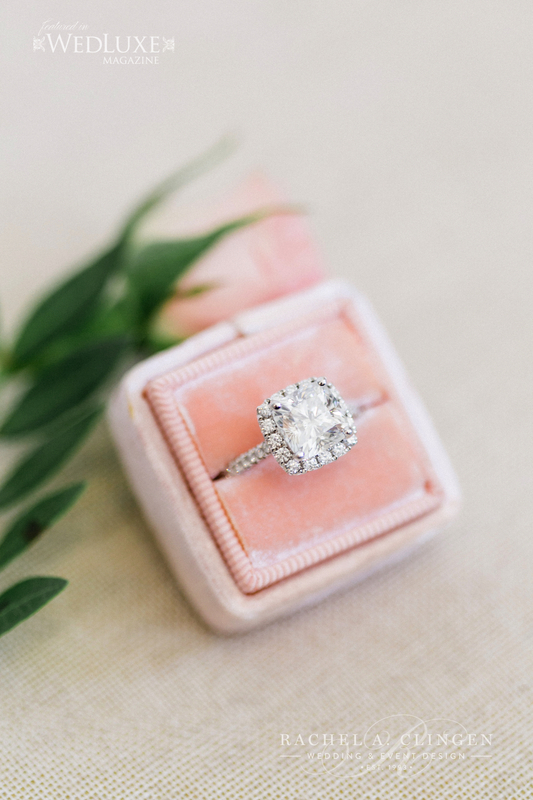 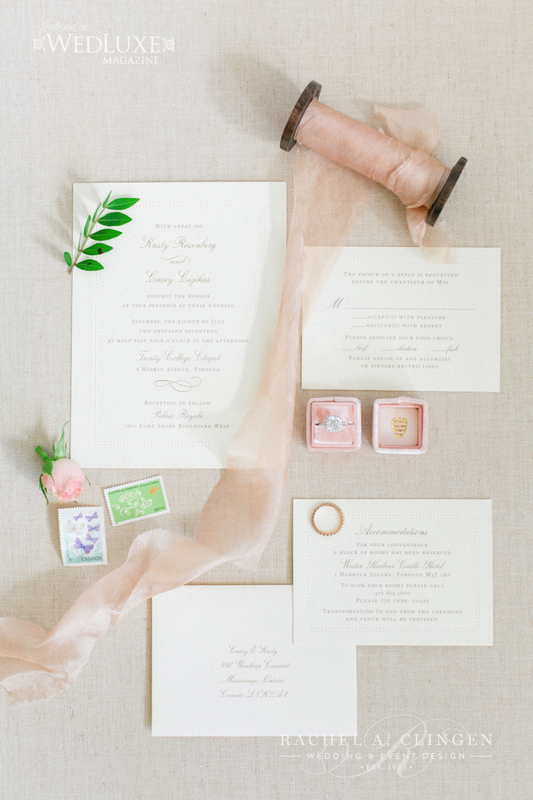 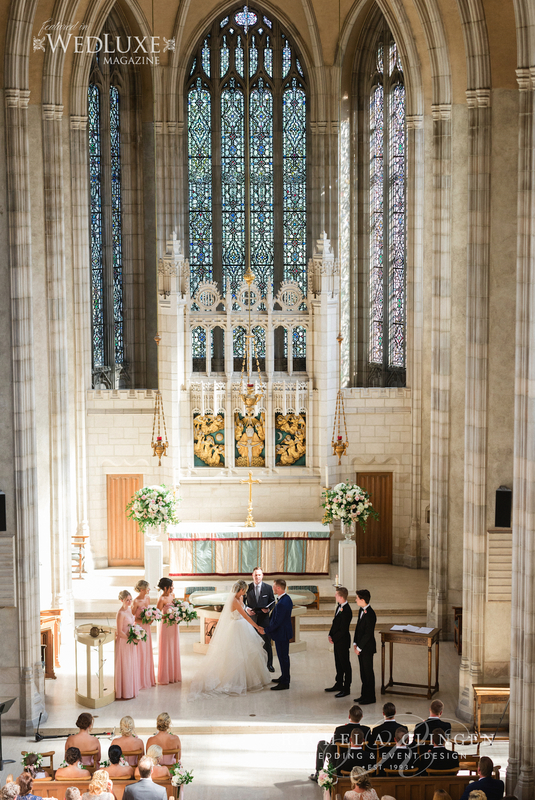 Kristy did not want her wedding to look over pretentious, but rather warm and inviting, intimate and romantic. 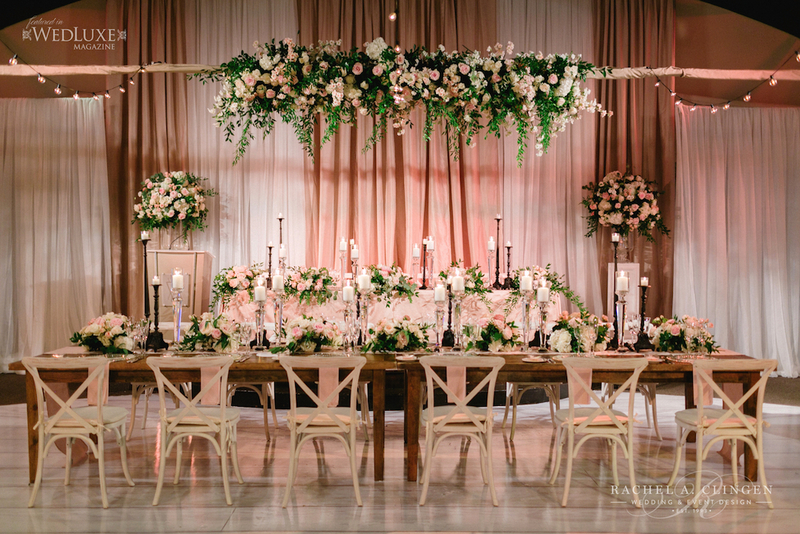 Our team transformed Palais room with a full room draping and beautiful flowers. 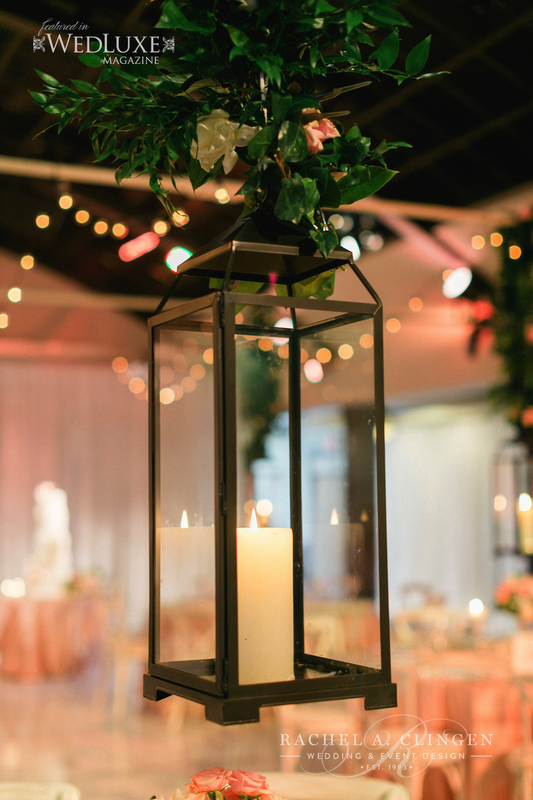 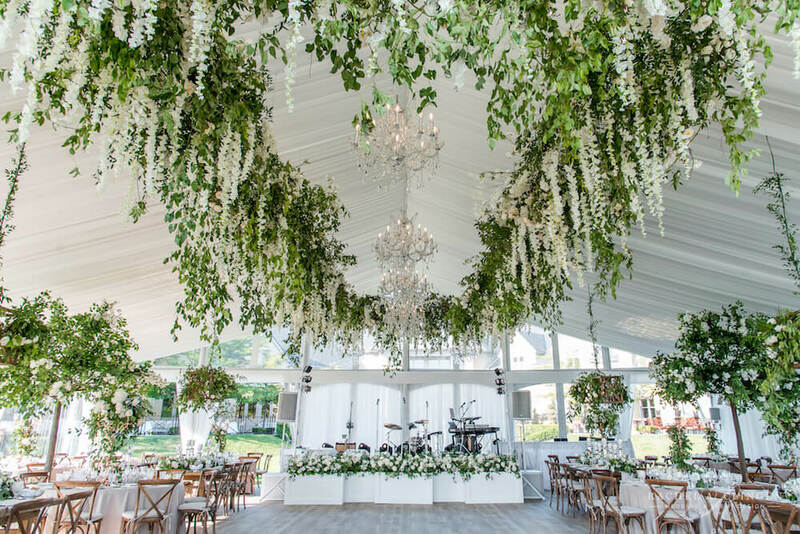 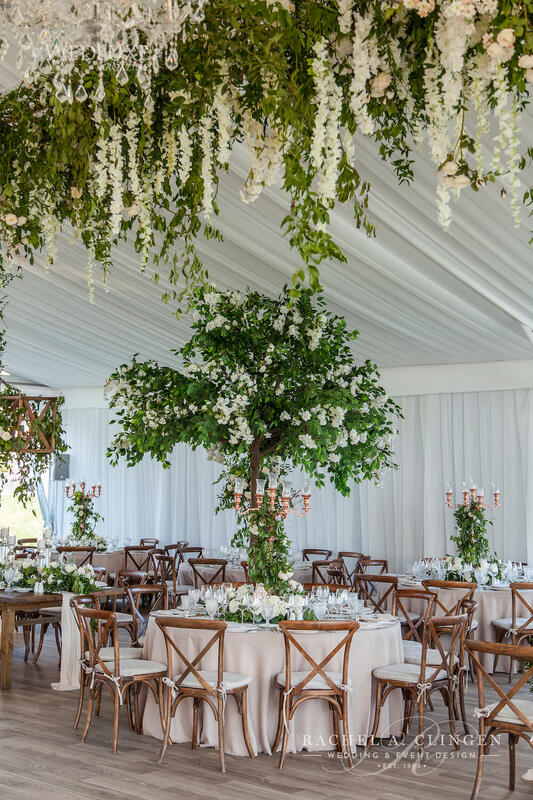 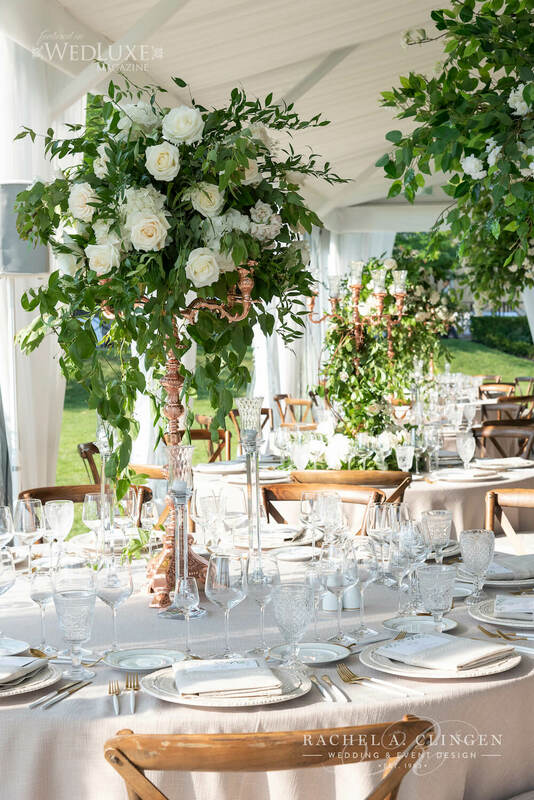 Unique decor elements included suspended lanterns over guest tables and stunning cascading floral canopy over the head table. 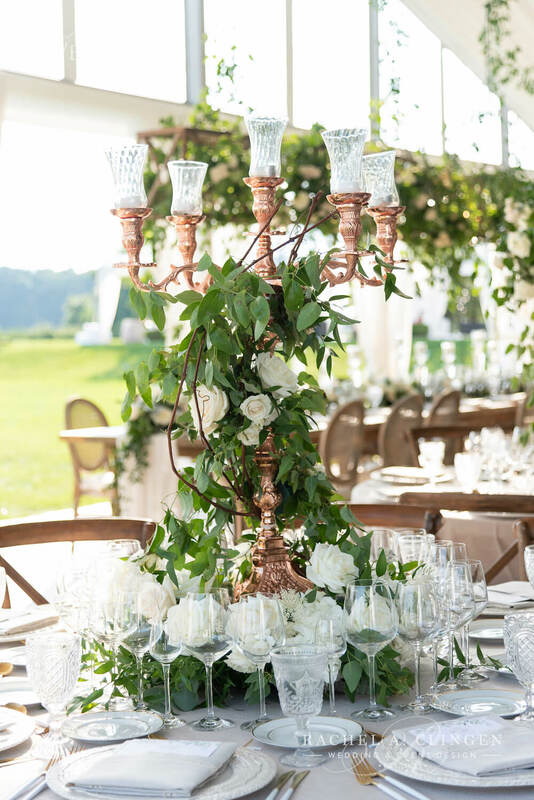 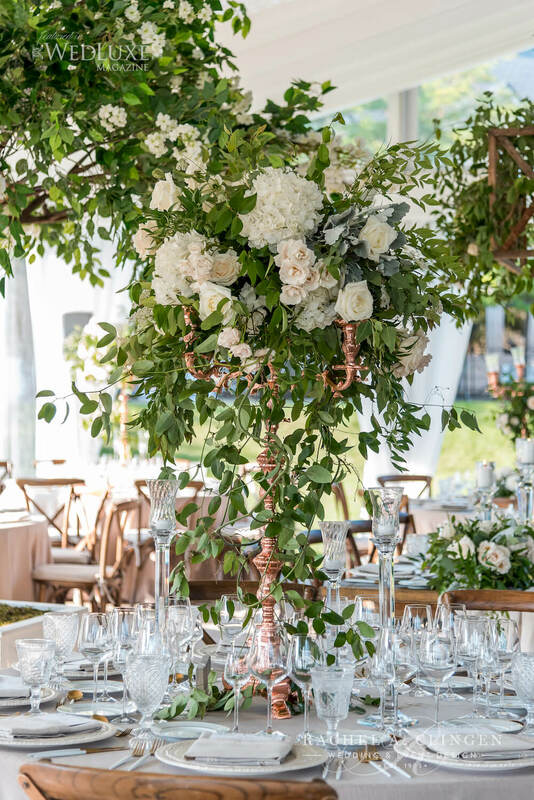 We mixed rustic elements such as harvest tables and vineyard chairs with beautiful crystal candlesticks and crystal charger plates. 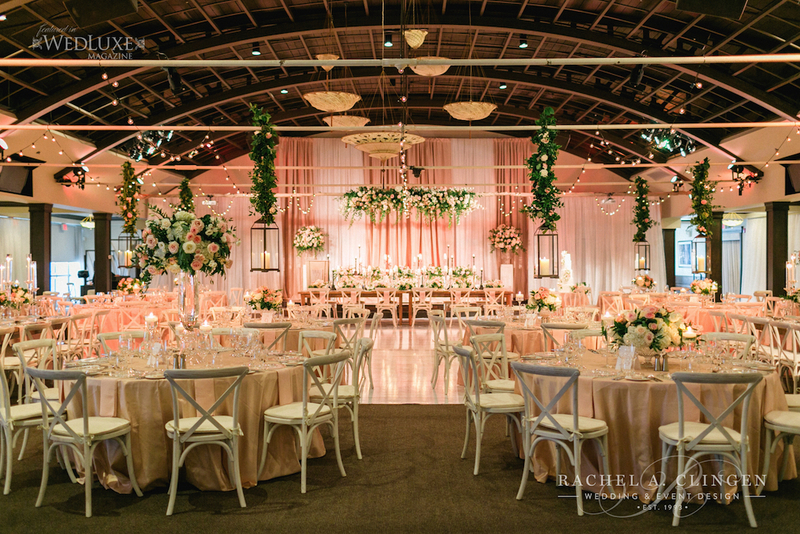 The unique rustic/elegant theme was further developed with with a custom white washed, barn board dance floor. 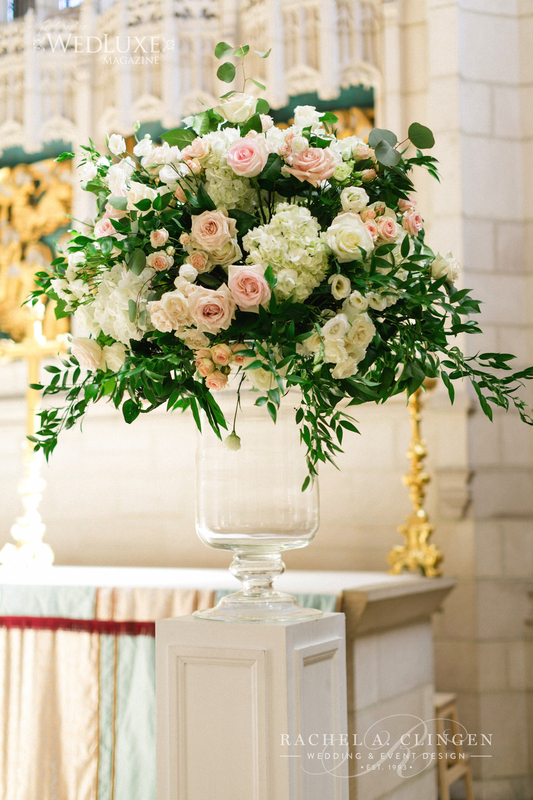 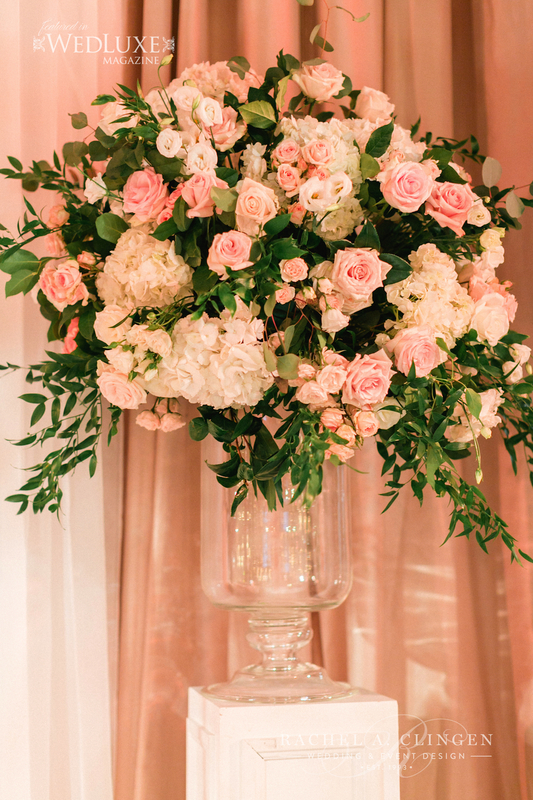 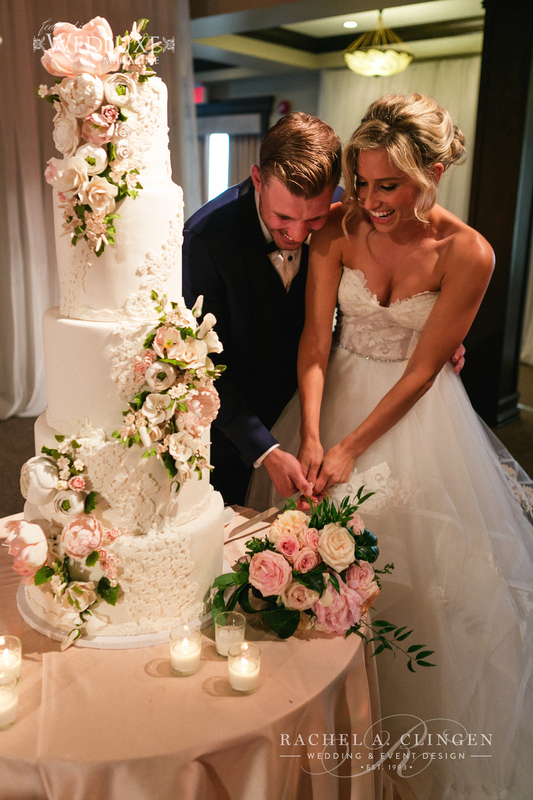 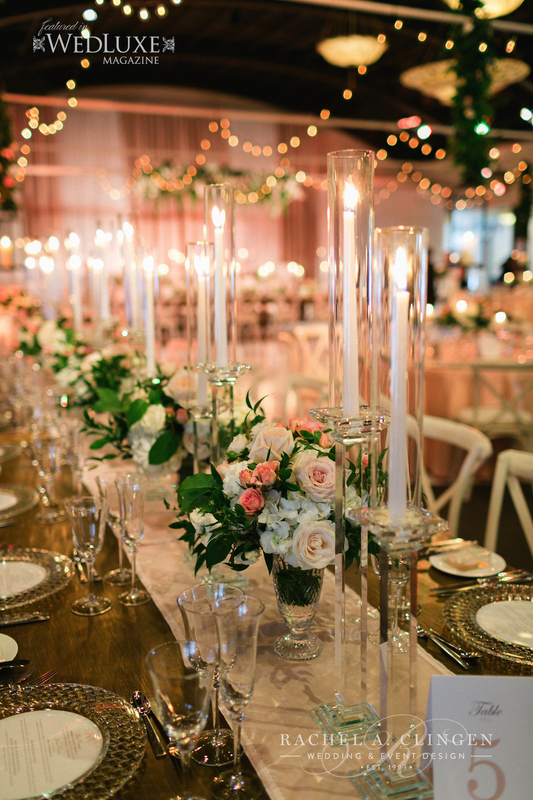 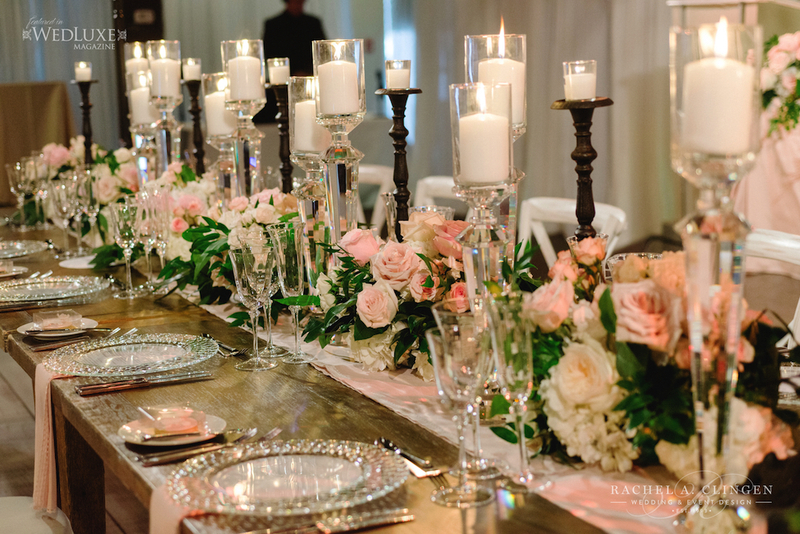 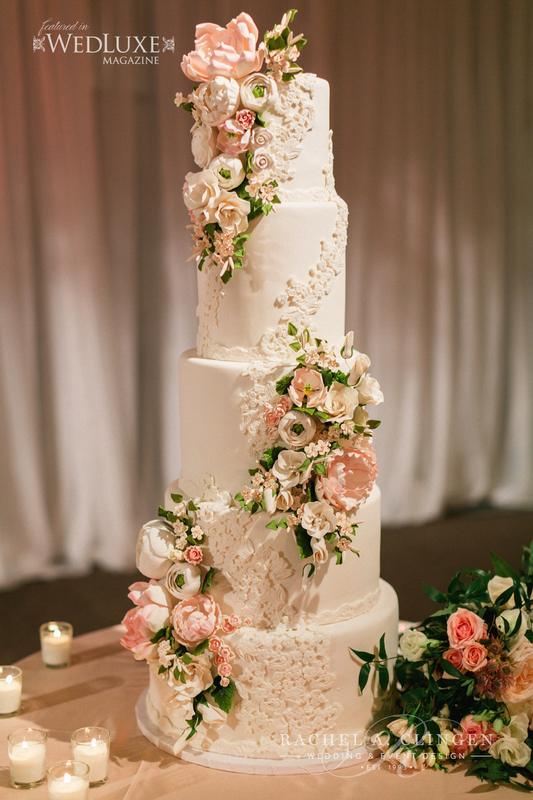 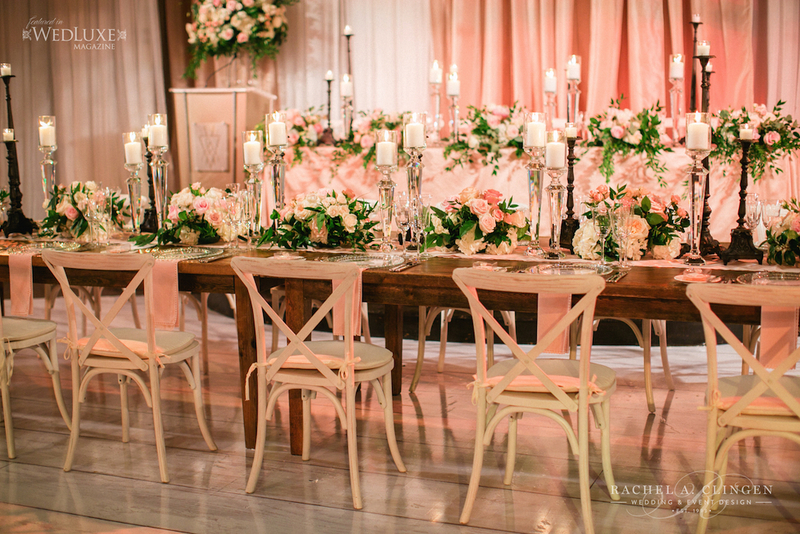 Casey and Cody’s head table was accented by a pretty back drop in cream and blush tones. 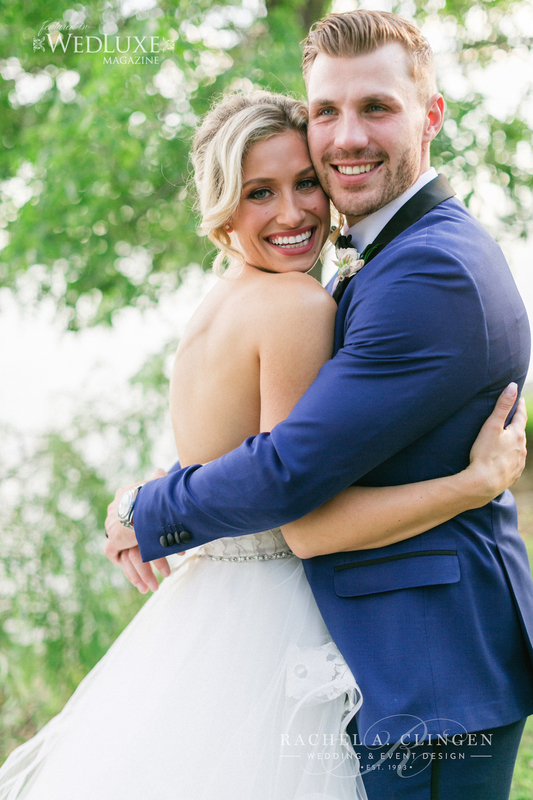 Congratulations to Kristy and Casey! 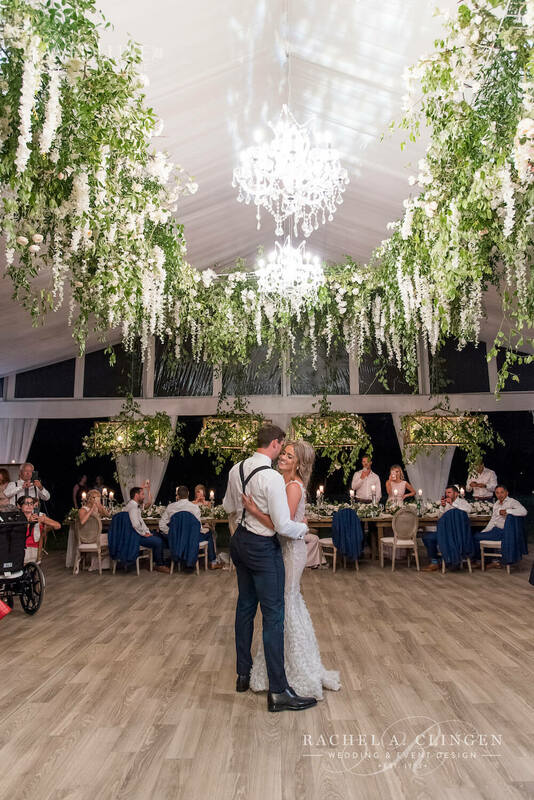 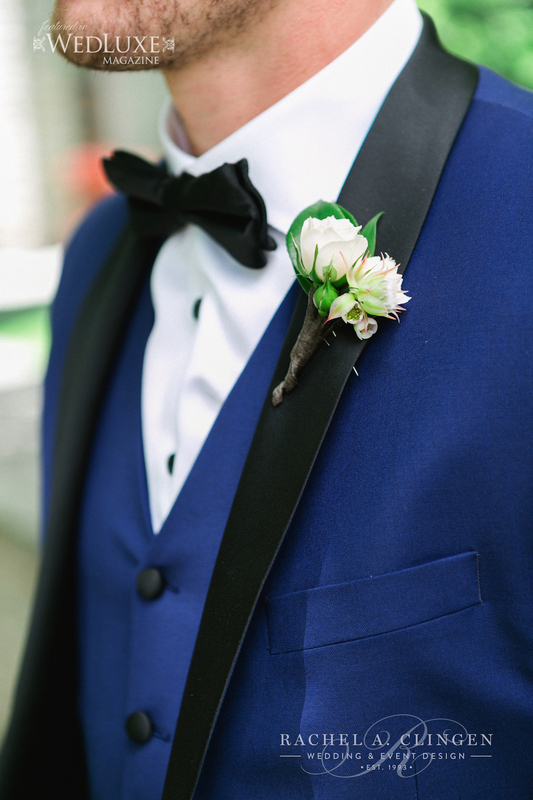 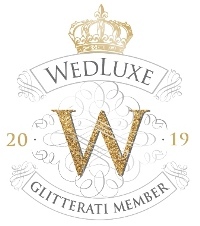 Thank you for choosing us to create magic for your special day! 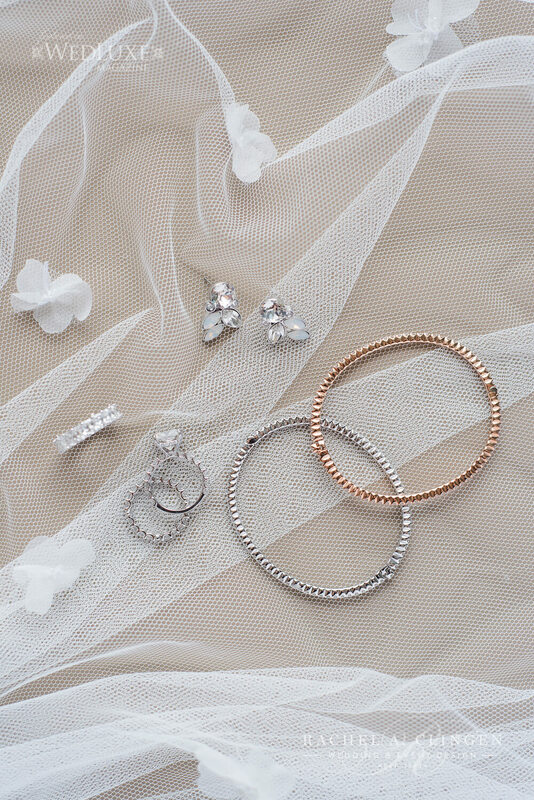 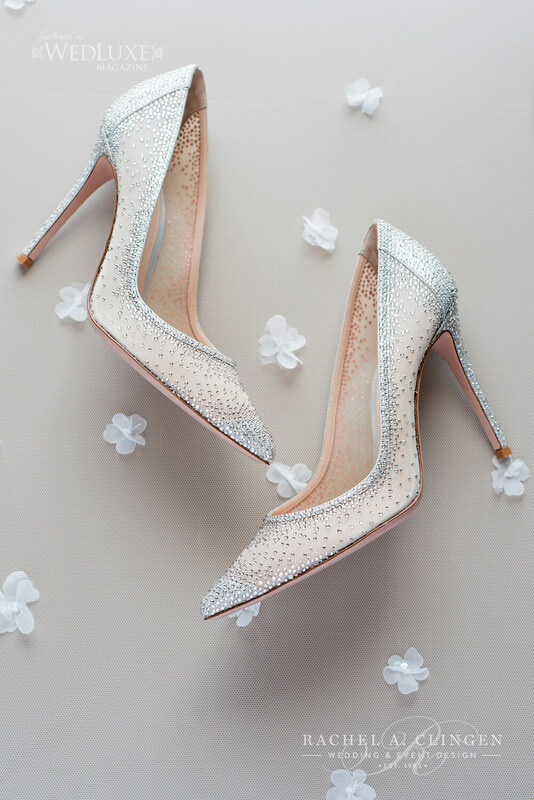 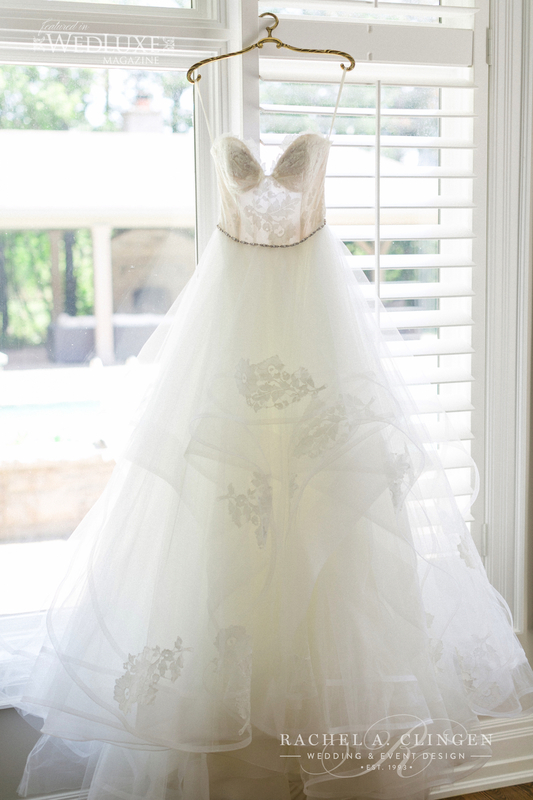 Wonderful day collaborating with wedding planner Karina Lemke and stunning images by Corina V. Photography. 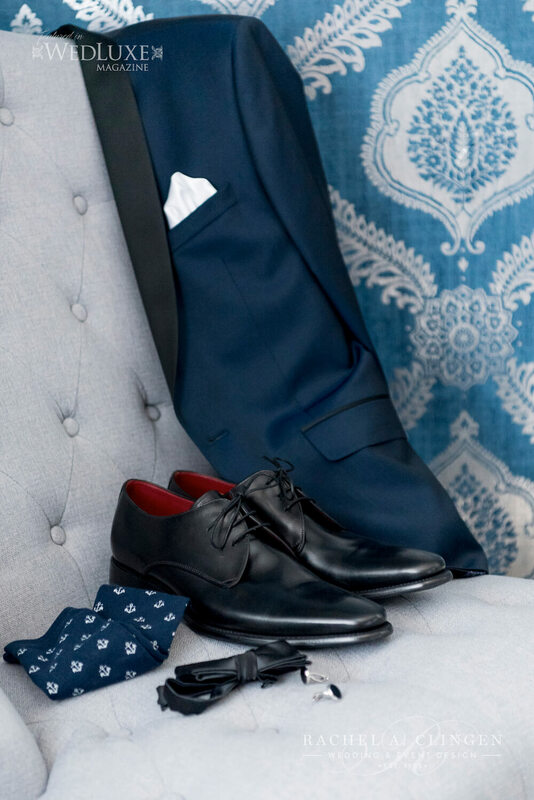 Stay up-to-date with our newest postings, sign up for email notifications of new entries below.